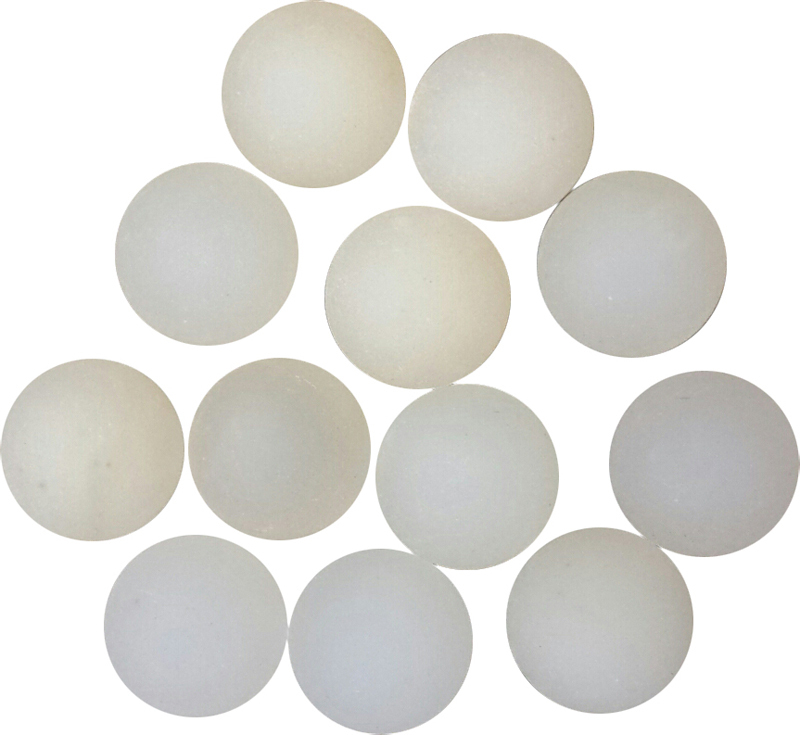 Polyurethane is similar in characteristics to rubber, but with increased abrasion resistance and durability. 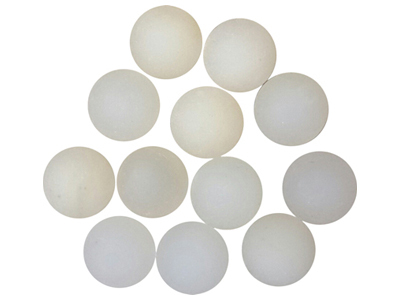 It's offered in a wide hardness range with the typical hardness for balls being around 87 shore A. It has great flex life and holds up well to outside weather conditions. It also has good resistance to oils, solvents, fats, greases, and gasoline. Common uses include: sleeve bearings, wear plates, rollers, ball valves and seats. It can also be used for vibration dampening and sound abatement.